2.5” DLS. 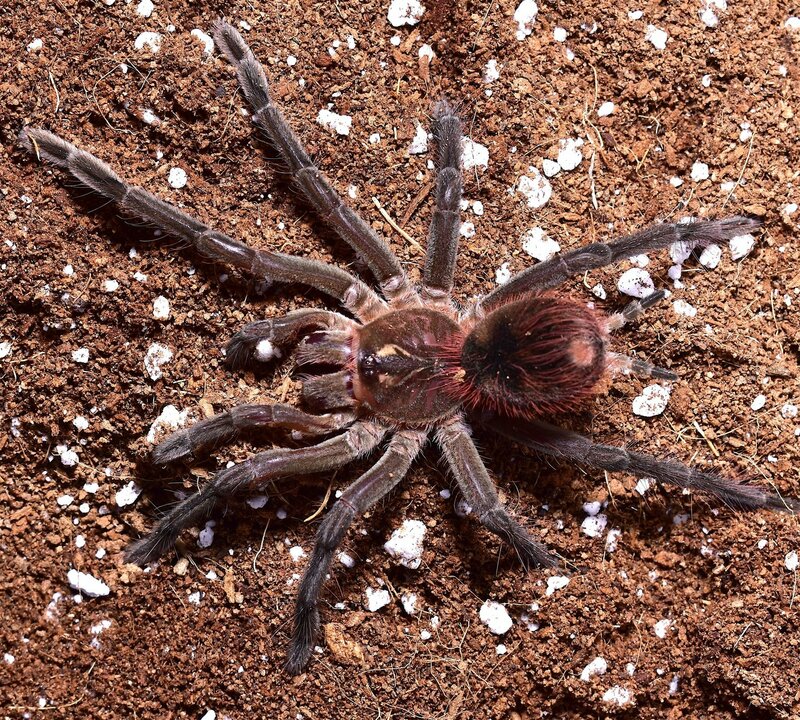 Large growing New World terrestrial tarantula, known as the “Peruvian red bloom birdeater” as well as the “black fire tarantula”. This spider was purchased as a confirmed female but has not been confirmed by us.